SubRosa - a community space: Really Really Free Market And More! 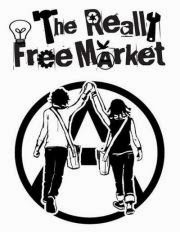 Really Really Free Market And More! Then Saturday evening at 7pm A Show with Lord Dogbird AND Dead Western AND more! NOTAFLOF (but bring $ for the touring bands). Yea! And Another Show! on Friday February 21st with Jesus Christ and the Goddams AND Nick Neihart AND more again! NOTAFLOF (and again bring $ for touring bands). AGORA, In the twilight years of Pagan Rome, Alexandrian philosopher, astronomer, and mathematician Hypatia must navigate a world increasingly under the control of the Christian church and hostile to women in positions of power. Starring academy award winner Rachel Weisz.